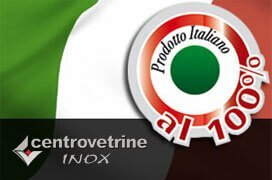 Naviga tra i link della Mappa Sito Centro Vetrine Inox. Torva l' arredamento per negozio e locale commerciale che fa per te! RETROBANCO PANETTERIA IN FERRO DA 200 CON PIANO TOP: linea "Market"
RETROBANCO IN FERRO DA 200 ideale PER PANETTERIA CON N.2 CESTI PANE: linea "Market"
RETROBANCO IN FERRO DA 200 ideale PER PANETTERIA CON MOBILE E N.2 CESTI PANE SENZA PIANO TOP: linea "Market"
RETROBANCO PANETTERIA IN FERRO DA 200 CON MOBILE E N.2 CESTI PANE CON PIANO TOP: linea "Market"
SCAFFALE PANETTERIA IN FERRO DA 200 CON MOBILE CON TOP E 2 CESTONI: linea "Market"
SCAFFALE PANETTERIA IN FERRO DA 200 CON MOBILE CON TOP E 3 CESTONI: linea "Market"
RETROBANCO PANE IN FERRO DA 300 SENZA PIANO TOP: linea "Market"
RETROBANCO PANETTERIA IN FERRO DA 300 SENZA PIANO TOP: linea "Market"
RETROBANCO PANETTERIA IN FERRO DA 300 CON PIANO TOP: linea "Market"
RETROBANCO PANE IN FERRO DA 300 CON CESTONE: linea "Market"
RETROBANCO PANETTERIA DA MT. 3,00 IN FERRO H 220 CON MOBILI CON PIANO TOP E CESTO PANE: linea "Market"
RETROBANCO PANETTERIA IN FERRO DA MT. 3,00 CON PIANO TOP E CESTO PANE: linea "Market"
RETROBANCO PANETTERIA IN FERRO DA 4 METRI CON PIANO TOP: linea "Market"
RETROBANCO IN FERRO DA 400 CON LUCI, PIANO TOP "RUGGINE" E FINITURE BIANCHE: linea "Market"
RETROBANCO IN FERRO DA 400 CON LUCI E PIANO TOP "RUGGINE": linea "Market"
RETROBANCO IN FERRO DA 4 METRI CON LUCI E PIANO TOP "NERO": linea "Market"
RETROBANCO IN FERRO DA 400 con LAVELLO, APPENDI SALUMI E LUCI: linea "Market"
RETROBANCO PASTICCERIA IN FERRO DA 400 CON LUCI E FINITURE BIANCHE: linea "Market"
BANCO PANE NEUTRO DA 150 mod. "EASY"
BANCO FERRAMENTA DA 130: mod. "MODULTECNO"
BANCO FERRAMENTA DA 250: mod. "MODULTECNO"
STRUTTURA IN ACCIAIO INOX SATINATO PER ABBIGLIAMENTO: MOD. SERIE "FLOU"